The chaps at Money Supermarket contacted me to see if I'd be interested in taking up a £50 big night in challenge, all we had to do was create a fab night in on a budget of £50, kindly sent to us from them. 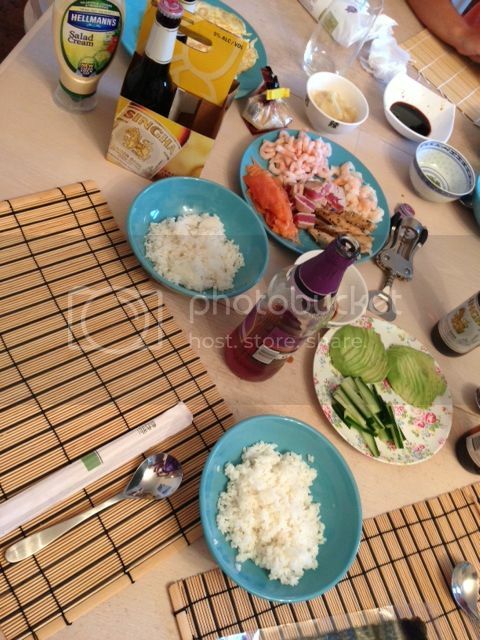 I had a think about what we might like to do and straight away I thought of sushi. My friends and I love sushi, but when you go to a restaurant it can get very expensive once you've paid for drinks and starters and dessert if your lucky. I went out and got some supplies ready for our big night in. I went with sushi kits as I wasn't sure how much we'd need. I think in hindsight I'll just buy the separate components! 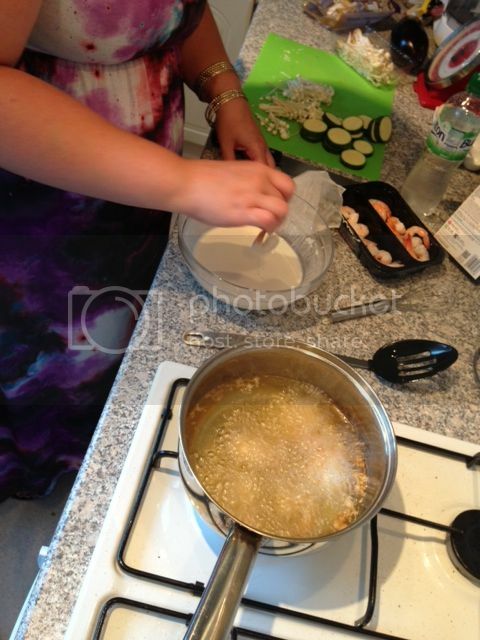 To start we decided to try out tempura, we've never made it at home before so we made up our batter and fried prawns, enoki mushrooms and courgette. The mushrooms were a big hit, they fried up really nice and crispy on the outside and really soft and tasty on the inside. For the main course we decided it would be fun for everyone to try and make they're own sushi in true generation game style! So we laid out all the various fillings on the table and equipped everyone with they're own rolling mat and ingredients.. 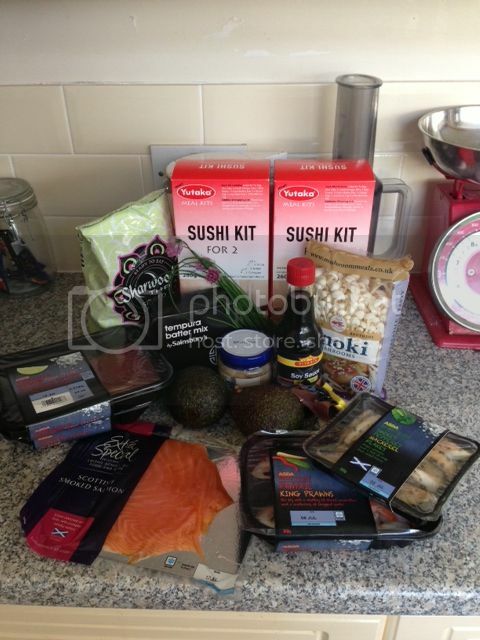 I went for a filling of avocado, cucumber, one half seared tuna and one half smoked salmon.. 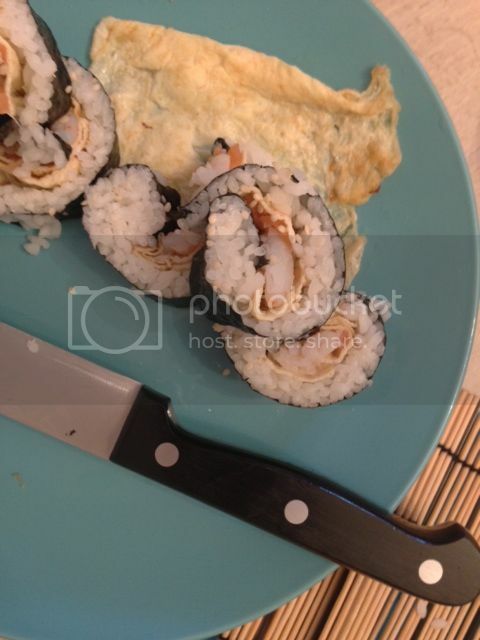 It kinda looks like sushi right? For a first attempt I was pretty chuffed!! Michaels however, did not go so well, he'd overstuffed it so much he couldn't roll it! Greedy boy! Wayne however did a much better job! For dessert we had honeycomb ice cream with lychee and mango and the boys enjoyed some Japanese beers. 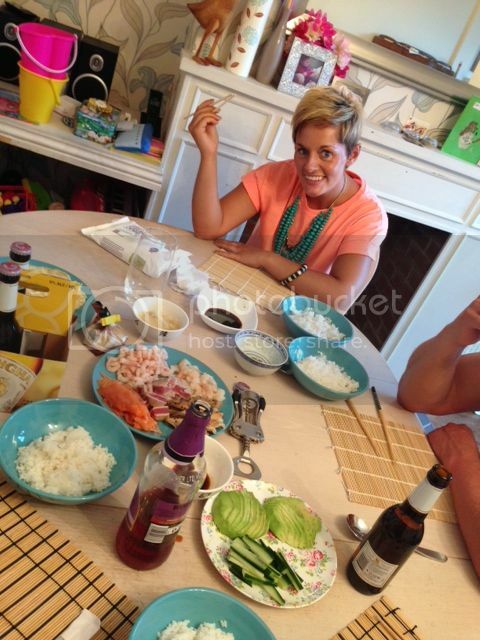 We had a really good night and enjoyed having a go at making our own sushi. It was nice to be in a relaxed environment, enjoying food we had lovingly (?! Ha ha) made ourselves. Thanks for the Bight Night In Money Supermarket, we had a blast! 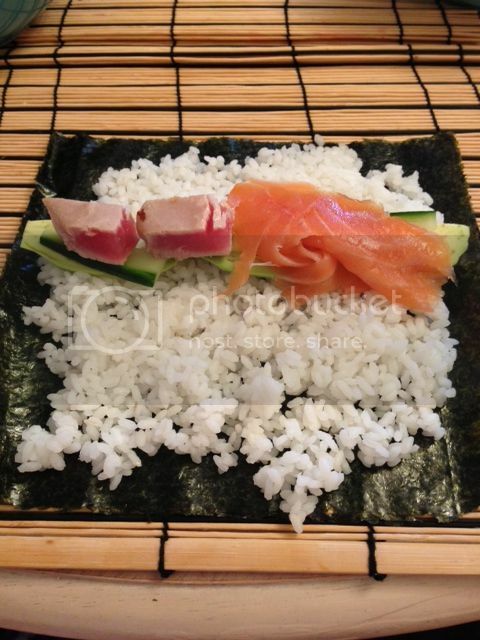 I really fancy having a go at making sushi....need to master the art of holding chopsticks properly first though!! What a great night! 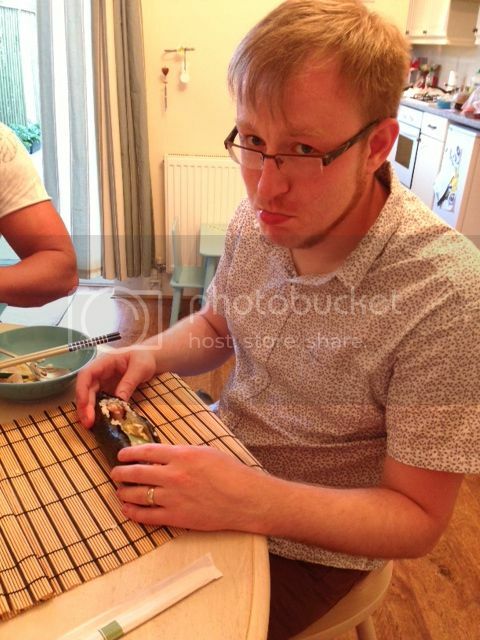 I love making sushi although my first couple of attempts were shocking! The ice cream you had for dessert sounds amazing. 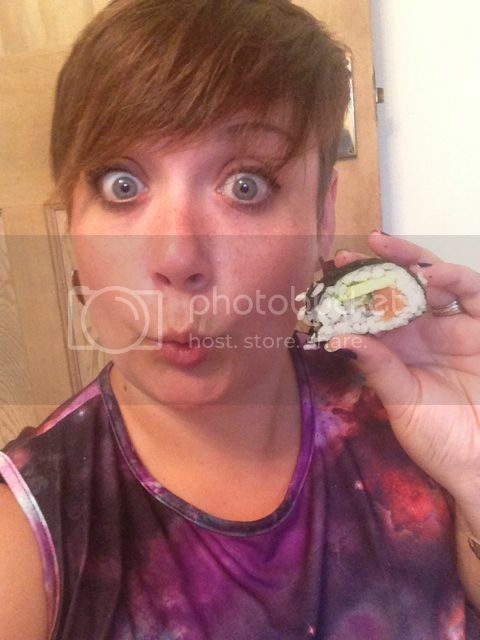 I love sushi - you will get better each time you do it I promise!